You'll wish your layover was a lot longer. (SPOT.ph) Long layovers are rarely the stuff of fun and excitement, bringing to mind instead an arduous wait, uncomfortable naps, and the possibility of hunger if not even a single coffee shop or convenience store is open and your next flight is hours away. 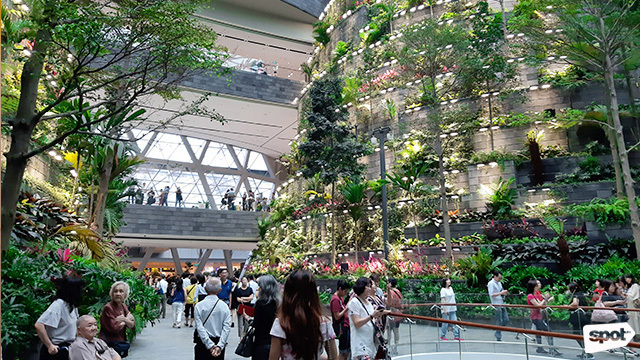 But Jewel Changi Airport in Singapore is looking to change that dreary image with its vast selection of shops, restaurants, movie theaters, and attractions on top of other features and facilities that help make traveling more seamless and convenient. 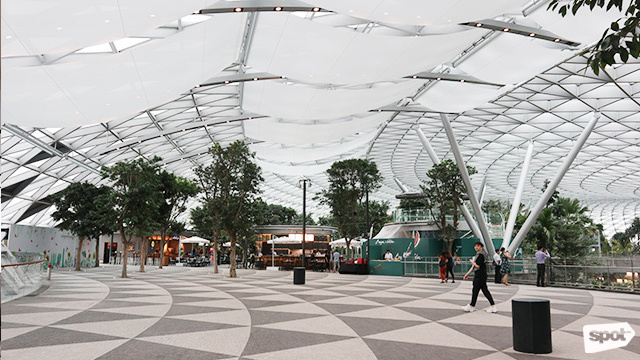 Built on what used to be the 3.5-hectare open-air parking lot, Jewel Changi is considered the jewel of Changi Airport (hence the name), with its central location at the airport and its attractions, unique design, and offerings. It was built to address the need to accommodate the country’s growing passenger arrivals and also to improve the whole traveling experience. 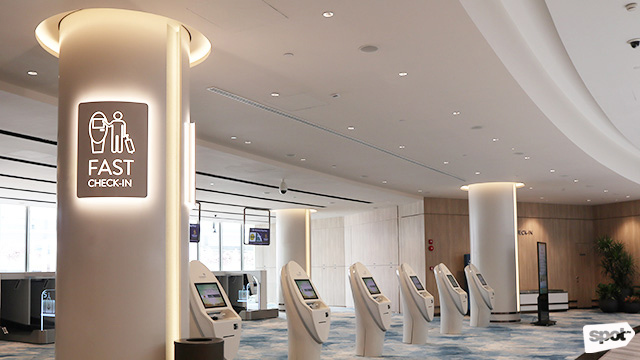 Jewel provides fast check-in counters and baggage drop areas, giving people more time to wander around and explore the sights in the airport itself. Automated counters allow for fuss-free check-in. 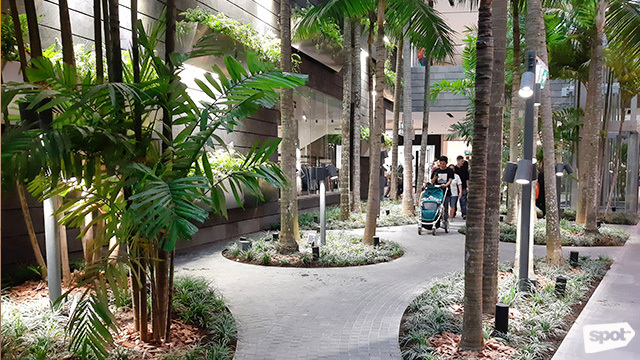 For relaxation, the Changi Lounge is also open to all passengers for a fee, while the Yotelair has showers, a gym, and 130 rooms with en suite bathrooms available for anyone who needs a place to sleep; two of them offer accessibility for people with special needs. 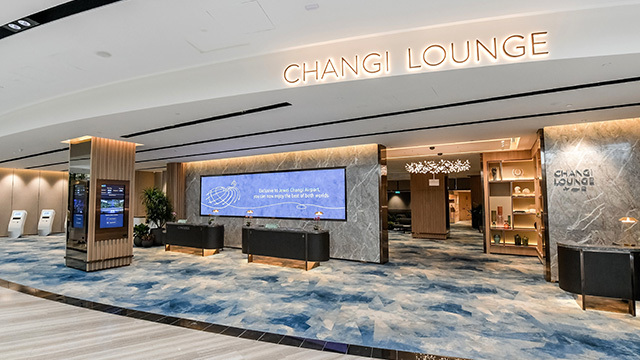 The Changi Lounge is also open to ferry and cruise passengers. Yotelair offers space for groups. 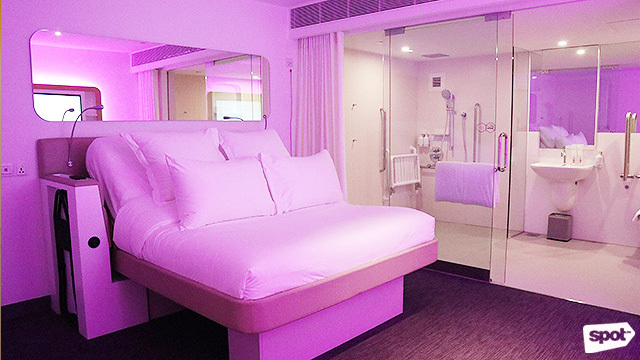 Yotelair has two rooms available for people with special needs. Aside from catering to travelers, Jewel is also expected to welcome a lot of locals. 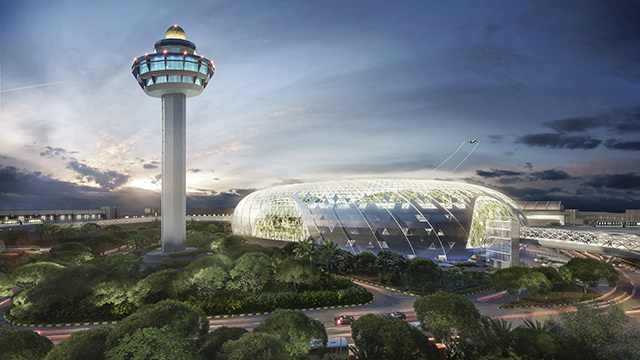 The opening of the new complex has been highly anticipated in Singapore; the airport is a pretty popular hangout spot among the locals, with students even going there to study, retirees having a walk around, and even couples going on dates. Ninety percent of the retail and dining establishments are now open, with a few more set to open very soon. 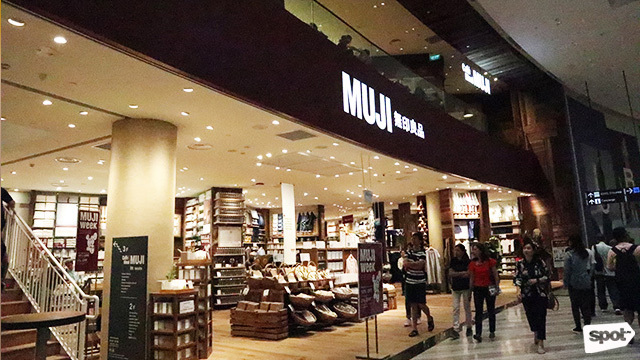 Jewel features a good mix of international and Singaporean brands to cater to the varying tastes of visitors from all over the world and at the same time give travelers a quick sample of the best that Singapore has to offer. Here’s what you can expect to see when Jewel formally opens its doors to the public on April 17. SkyTrain passengers can get a great look at the HSBC Rain Vortex. It gets a bit misty in the Shiseido Forest Valley. 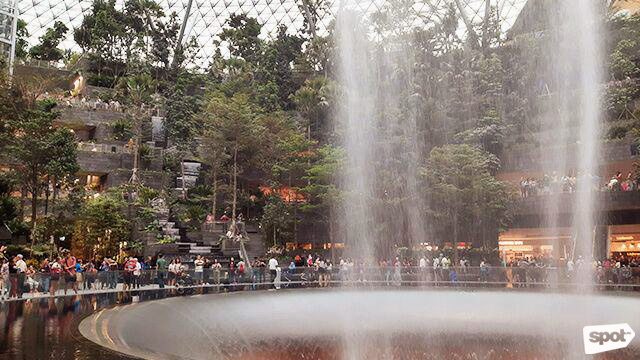 Arguably the main highlight of Jewel, the 40-meter-tall HSBC Rain Vortex is the world’s tallest indoor waterfall and is fed by rainwater, which then cascades down to the Shiseido Forest Valley and all the way to the basement levels and is recycled to water the plants throughout Jewel. The waterfall operates continuously throughout the day, occasionally releasing mist and giving the surroundings an ethereal look. There are plenty of vantage points where you can take pictures of the Rain Vortex. You can even see the rest of the water—encased in an acrylic tube—flow down through the food hall in the basement level. You can also catch the Light and Sound Show, which runs hourly starting at 8:30 p.m. to 12:30 am. Seeing it at night is an experience too, when it turns into a light and sound spectacle. You'll almost forget you're in an airport/mall. We're getting "sea of clouds" vibes from the Foggy Bowls. 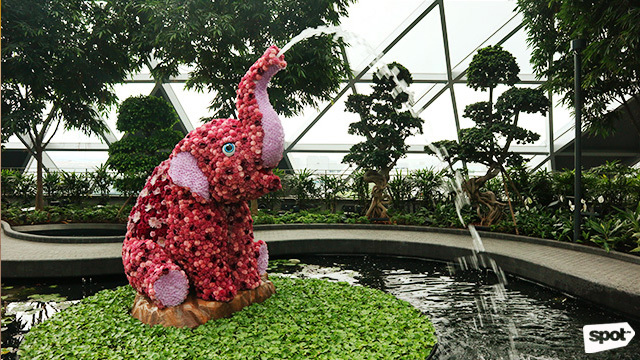 This happy elephant is just one of many animals along the Topiary Walk. 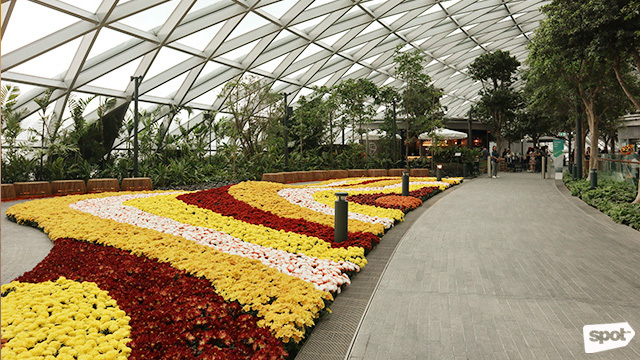 The Petal Garden is currently made up of different types of chrysanthemums. 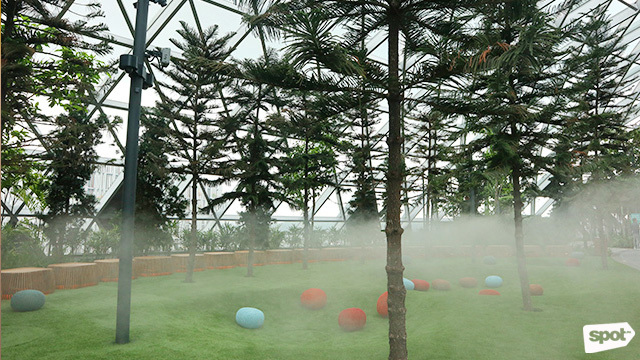 One of the best spots in Jewel is Canopy Park, which spans 14,000 square meters and is situated on the top floor of the structure. Canopy Park features numerous attractions that will open mid-2019, such as the Topiary Walk, with topiaries of animals made of local materials, plants, and flowers that will change seasonally; Foggy Bowls, designed to make you feel like you’re sitting among the clouds; the Hedge and Mirror Mazes; the massive Discovery Slides, which triples as a playground, observation deck, and art installation; the Manulife Sky Nets, which includes the 50-meter-long Walking Net, where you can peer down a heartstopping 25 meters to Level 1 right under your feet; and a 50-meter-long suspended bridge with a glass floor so you can get a slightly closer look at the Rain Vortex and view the greenery underneath—probably not for the queasy and acrophobic. The Cloud9 Piazza can be rented for events and has a 1,000-person capacity. 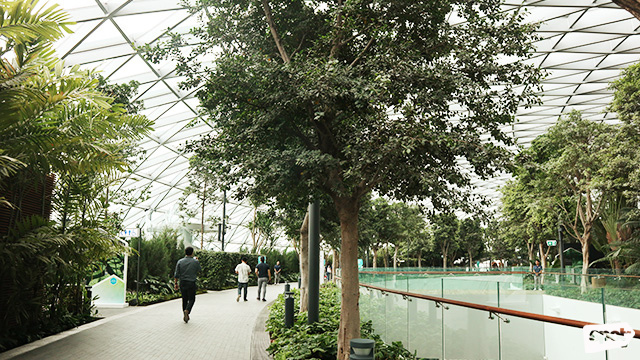 Eight dining places are located here, including the highly anticipated Burger and Lobster and the Tiger Beer Street Lab, the first experience store of the famed Singapore brew. 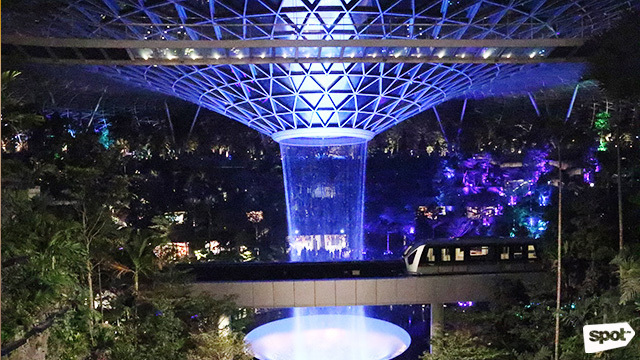 At night, Canopy Park transforms into a sparkling garden with a humming nightlife scene. Multiple little gardens dot the place. Jewel will be changing the flowers in this display from time to time. Jewel is awash in greenery, taking things a step up from its older terminals. 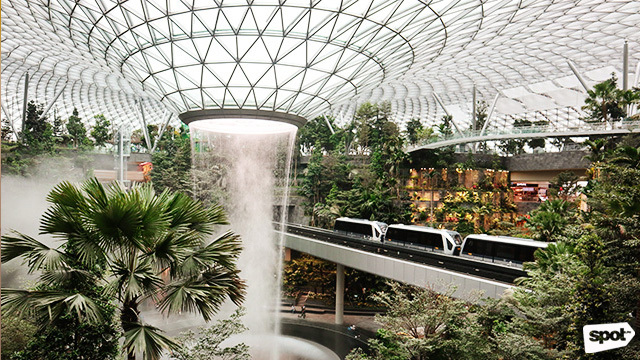 Plants and trees from all over the world were transported to Singapore for Jewel’s gardens, tended by the airport’s own team of horticulturists. 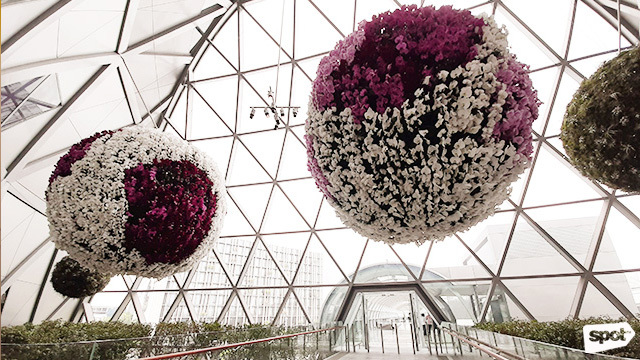 Orchids—an iconic Singaporean symbol—also make an appearance in the decor. Find massive walls of green all over Jewel. You’ll find little pocket gardens throughout the place, and the two Shiseido Forest Valley trails, which take you from the top floor, past walls of plants and the Cataract Falls, are also a good way to get your walk on. The Nike store in Jewel spans almost one hectare! Muji offers free interior design services too. Brands from all over the world have set up shop in Jewel. 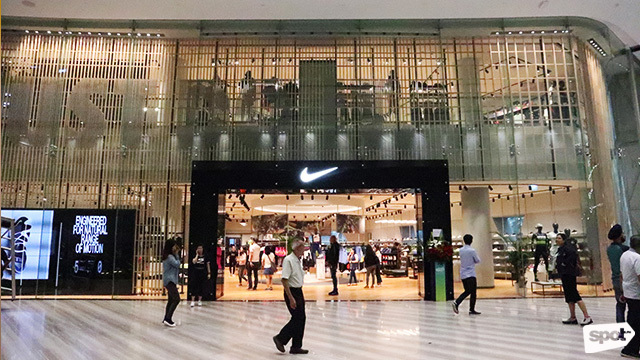 It houses the largest Nike store in Southeast Asia, as well as two floors of Muji, with Cafe&Meal on the second floor. 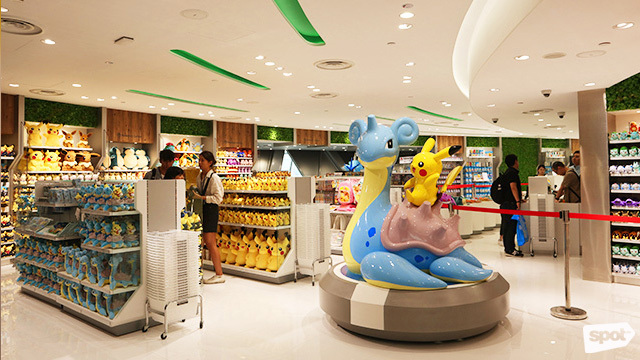 After a pic with Lapras and Pikachu, go further inside to find a big statue of Gyarados. 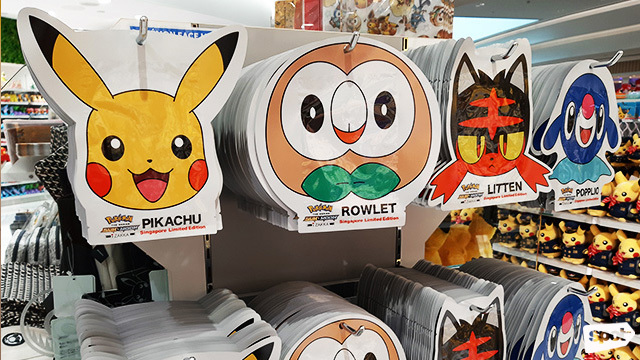 You'll find plush toys of every evolution! A cute way to get better skin. 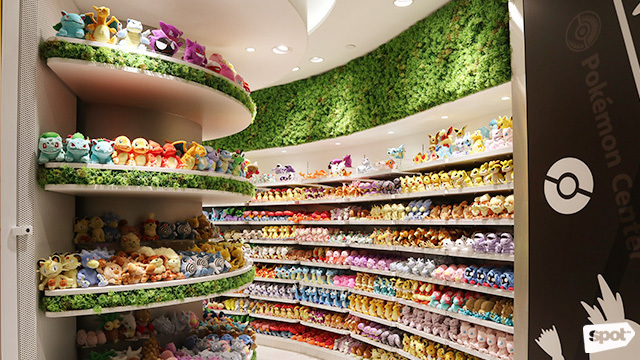 It’s also home to the first Pokemon Center outside of Japan; you’ll find plush toys of Pikachu in pilot and flight attendant uniforms, Detective Pikachu merch, and even Pokemon face masks. Stationery lovers should head straight to the second floor. 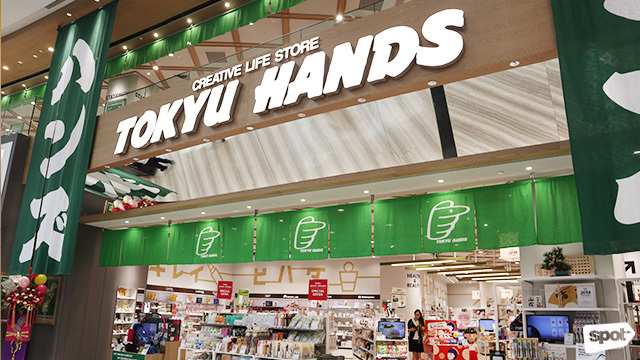 Stationery addicts and homeware fans might lose track of time at Tokyu Hands, which spans two floors and offers items exclusive to Jewel. Two floors of Shake Shack provide enough room for the inevitable onslaught of eager diners. 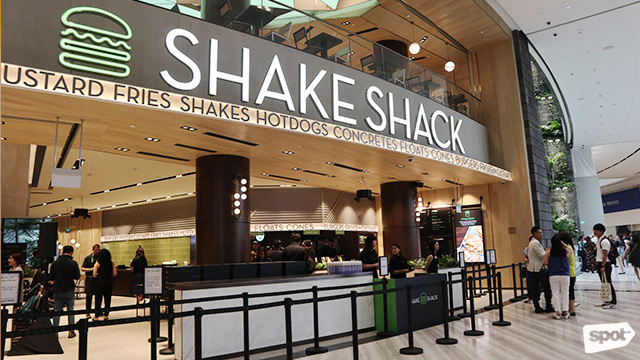 Shake Shack is also opening in Jewel, marking its debut in Southeast Asia. Even Filipino brands are included in the mix, such as La Lola Churreria and Potato Corner. 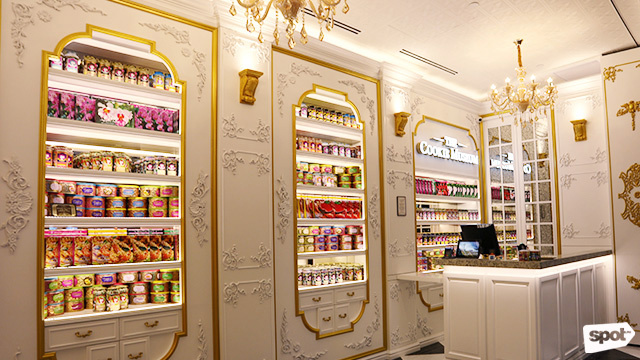 For some uniquely Singaporean treats, The Cookie Museum is a good bet, offering cookies both sweet, like Champagne Lychee, and spicy and savory, like Cereal Prawn, Nasi Lemak, and Chili Crab (it has actual pieces of crab, too). Ask for samples first to find out if cookies with crab, shrimp, and anchovies are your thing. If you want a real chili crab, Jumbo Seafood, which is practically an institution in Singapore, boasts having the best. You can cap off your meal with ice cream at Emack and Bolio’s or grab some Swiss rolls at Rich and Good Cake Shop, another Singaporean classic. You can walk to Jewel from Terminal 1, and it’s accessible via walkalators from Terminals 2 and 3. If you're coming from Terminal 4, take the shuttle to Terminal 2 and then cross the link bridge to get to Jewel. Overall, it wouldn’t be a bad idea to have plenty of room in your carry-on—and even in your stomach—if you’re stopping over in Singapore. 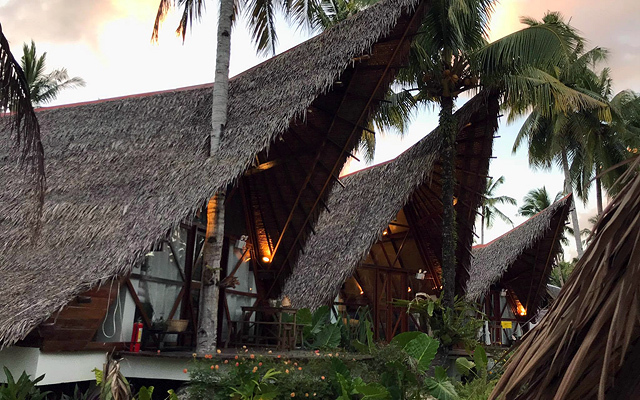 Jewel is practically a tourist destination in itself, and it’ll take more than one layover to get the full experience, but you probably wouldn't mind hanging out at the airport this time. 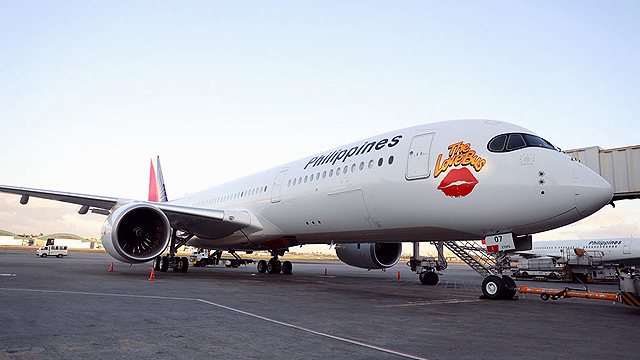 Philippine Flag Carrier Brings Back "The Love Bus"